Home prices continue to climb on the national housing market, according to the most recent reports. 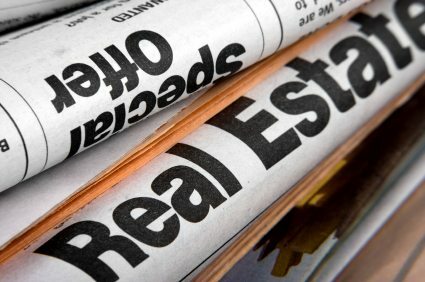 Real estate data specialist RealtyTrac recently revealed that property prices across the country are up 5 percent year-over-year. Meanwhile, home sales are up 8 percent. And the news just keeps getting better for national home sellers! The national median sales price was $168,000 in June, up 3 percent from the month before. Existing home prices in the country have increased by 13.5 percent in the last 12 months. The median price of a distressed sale (or a property in foreclosure or bank owned) was $120,000, about 24 percent below the median price of a non-distressed home. Those markets that saw sales increase in June tended to be those states where there was a lingering distressed home inventory. Meanwhile, those markets that saw sales decrease tended to be those in which the majority of the distressed home inventory had already been absorbed. Cash-only home purchases accounted for 30 percent of all sales in June, down from 31 percent of all sales in May. Metropolitan areas with the highest percentages of cash sales were: Cape Coral-Fort Myers in Florida (70 percent), Miami (64 percent), Las Vegas (62 percent), Sarasota in Florida (59 percent) Tampa (58 percent) and Detroit (56 percent). Sale of bank-owned properties made up 9 percent of all residential sales in June, down from 10 percent in May 2013. Those top metro areas where bank-owned sales accounted for higher percentages of total sales were Detroit (24 percent), Modesto, California (24 percent), Stockton in California (24 percent), Las Vegas (22 percent) and Akron, Ohio (21 percent). Short sales accounted for 14 percent of all residential sales in June, up from 8 percent in June 2012. Although it was also down from 15 percent in May 2013. Those states with the highest percentage of short sales in June were Nevada (30 percent), Florida (29 percent), Maryland (21 percent), Tennessee (19 percent), and Arizona (19 percent). Those metro areas with annual increases in median prices of 20 percent or more were: Sacramento (35 percent), San Francisco (30 percent), Los Angeles (27 percent), Las Vegas (26 percent) and Phoenix (25 percent). Those states with the largest distressed sale discount were Ohio (58 percent), Michigan (48 percent), Illinois (47 percent), Massachusetts (46 percent) and Wisconsin (45 percent). Consider me your real estate market expert! As more develops on the market, I’ll keep you posted on those trends and how they may affect home sellers. Lake of the Woods VA will be hosting a Community Open House on Sunday, September 8, 2013, from noon-4pm. Visitors will be directed to the Clubhouse by Security. At the Clubhouse, volunteers will assist visitors in finding homes for sale in which they have an interest in viewing and will be provided information regarding the properties, as well as a map showing the locations of each listing chosen. In addition, the map will include the location of our amenities, many of which will be staffed by volunteers or staff members. A private, gated community located approximately 65 miles from the DC metro area, Lake of the Woods offers anything and everything you could possibly want. Home to two lakes (the 550 acre main lake and a 35 acre “fishing lake”), a golf course, an equestrian center, a fire and rescue department, and a church and co-op preschool all within the gates, Lake of the Woods simply has it all. Whether your passion is boating, water skiing, kayaking, golfing, horseback riding, or simply taking in the breathtaking views from the clubhouse while enjoying a fabulous meal, from your own deck or yard, or from one of the beaches, you won’t be disappointed! Perhaps you prefer a game of bridge or volunteering your time and talents…Lake of the Woods offers more than 60 clubs and/or organizations from which you may choose to become involved. For your real estate needs at the lake, call Licata on the Lake! 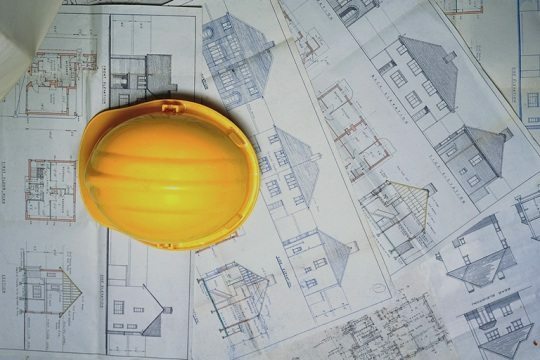 More home builders are committing to projects across the nation, according to a recent Associated Press article. In May, home builders applied for permits to build single-family homes at the fastest rate in five years. This is a crucial improvement for the real estate market because it will help increase the available inventory of homes for sale, which has fallen short of the demand for such homes in recent months. The rate of homes started increased 6.8 percent in May, to a seasonally adjusted annual rate of 914,000. The increase in May helped to offset the 14.8 percent decline in home starts in April. During the month of May, construction increased in the single-family homes sector as well as for apartments and condominiums. The seasonally adjusted annual rate for the number of applications for single-family home building permits increased by 1.3 percent, to 622,000. That figure is the highest it’s been since May 2008. However, when you consider all permits, that figure actually dropped by 3.1 percent, or to a seasonally adjusted rate of 974,000. This was mostly because of the more volatile apartment permit sector. When broken down by specific region, housing starts in the South increased by 17.8 percent in May. Housing starts increased by 5.7 percent in the West. Conversely, housing starts in the Midwest and Northeast actually fell, by 13.7 and 9 percent, respectively. New-home construction has increased 28.6 percent since May 2012. Experts say that housing is the strongest part of the economy in terms of growth. They also pointed to an increase in consumer prices as evidence that the housing market is mildly benefiting all sectors of the economy. For instance, the Labor Department reported that consumer prices increased slightly in May. The Consumer Price Index increased by a seasonally adjusted 0.1 percent between April and May. Over the last 12 months, prices have increased 1.4 percent. Here at the lake, the signs of improvement abound with the new construction you see on many streets. Check back here soon for more valuable insight on the current state of the national housing market and specifically here at Lake of the Woods!